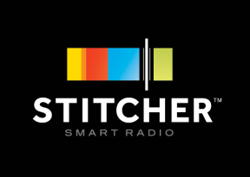 Listen to Keith Ranger G0KJK on "QSO Today"
-- Both shows discussed the involvement of Anglican clergy in the hobby. 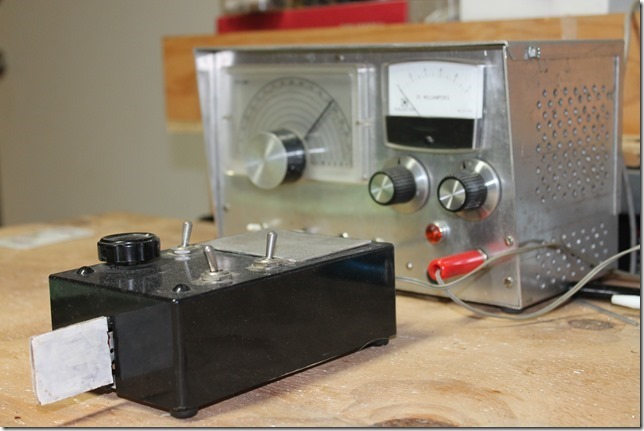 -- Both discussed the joys of simple QRP gear. -- George Dobbs G3RJV came up in both. -- Both discussed the use of ceramic resonators in ham circuits. I really enjoyed your interview with Keith. 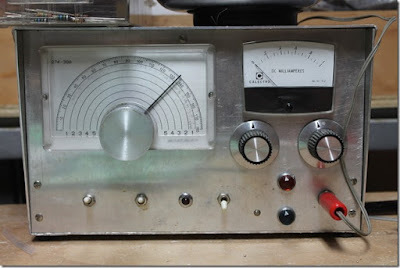 I have enjoyed reading in SPRAT about his projects -- years ago I built his MB4 receiver. I listened while I worked on my homebrew receiver. It was the ideal accompaniment. I also like the stickers on his transmitter. Please pass this on to Keith if you can. I also liked Keith's comments on the joys and perils of amateur electronic engineering. This short video shows how I used my new FeelTech Signal Generator (90 bucks shipped from China) and my trusty Rigol oscilloscope to display the passband of the filter in my Armand HROish receiver. Feedback on this test procedure would be appreciated. K1RID's 6L6 CW Transmitter from QST: "Barracks Bag VFO"
A new old thermatron device is coming to life on the kitchen table of K1RID. Don't spill the coffee on that thing Ed. It was a blast to get to chat with you too. Just listening to the audio on this end, I can tell you’ve put a lot of time and effort into getting what you have there up and running. Never once touched the dial on this end. So your radio gets a A+ for stability too. Read your Bio on QRZ and sounds like you’ve been a few places, and seen a few things, and that unto itself would make a great contact . But for me, the fact that you are out there building, and I ‘m getting to hear the fruits of your efforts, is ham radio at its best. 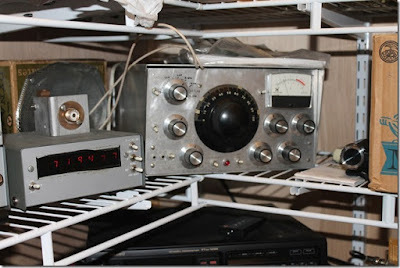 Attached are pictures of the gear that made up my station back in the 70’s. FWIW: At that time my call was WB4YQC. In those days I had two setups (Both on 40 mtrs). A CW station, using separate Xmtr & Rcvr, And a SSB xcvr. By themselves the CW xmtr ran 8 to 10 watts, and the SSB unit probably hit 5 Watts peak (on a good day). Like you, I had a separate linear. But in my case I used a pair of 6DQ5’s (TV Sweep tubes) that would run about 180 watts input, (Nothing Solid State, that I could afford, could make that kind of power back in then). The linear is still here, but stashed away in a closet somewhere, so not shown in today’s set of pictures. 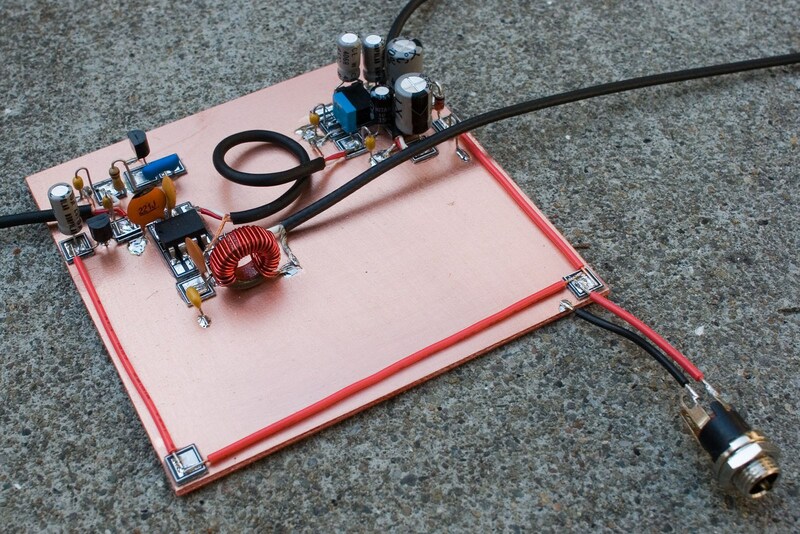 As an Add-On for the SSB unit, I built a Frequency Counter, and used it as a digital dial. The counter is unique in that it supports two inputs (one for the VFO, and the other for the Xtal BFO). In the 2 input mode, the counter is an UP/Down counter. The cases for the Xmtr & Xcvr were designed by me, but were built by a friend who had access to a metal brake. Internally none of the units are especially pretty, as the were always works in progress. I’ll have to dust off the linear. Its been at least 40 yrs since its seen AC.. Not sure what kind of shape the electrolytics are in. Probably need to apply power slowly. 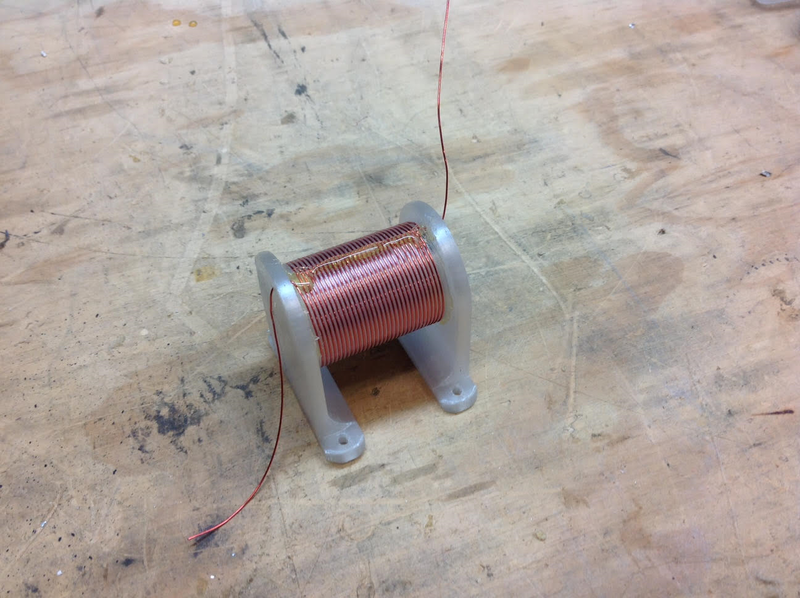 I’ll see if I can round up an Autotransformer. However, before anybody asks, (assuming that they might) there’re no schematics. Everything was built from sketches made on envelopes and napkins, which have long since disappeared. And even if they did exist, not sure today that you’d be able to find some of the ICs & transistors that the units use. Again, it was my pleasure to catch you on the band today, & look forward to getting to hear you again. Bill needs small (yellow slug) 455 kc transformers. We need a good user-friendly 40673 SPICE model. SEND US YOUR BENCH REPORTS! And I see there are August and September 2016 editions available in the Files section (KI6DS) of the qrp-tech Yahoo group. Did I see articles there from Steve "Snort Rosin" Smith? More amazing low-cost test gear from China. Elisa gave me this device on the occasion of my completing another solar orbit. Amazing capability for less than $90. The video above gives you a good sense of what this thing can do. I have already had success with the freq generator function. The frequency counter also works great. The sweep function looks very useful for filter checking. And the ability to generate square waves at different phase relationships will be very useful in phasing receiver and transmitter projects. This little box should help me eliminate a lot of clutter on the work bench. And it looks good next to the Rigol 'scope. They come with a variety of different brand names: I ordered a Jinwen but got a FeelTech. They are obviously the same device. 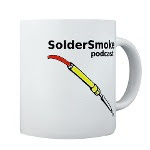 Be sure to begin your Amazon shopping on the Amazon search link on the SolderSmoke blog (upper right). George KJ6VU is a long-time supporter of the SolderSmoke podcast. 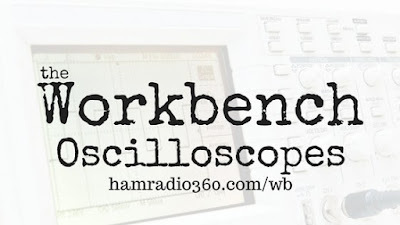 He has recently teamed up with another ham and launched a podcast called "The Workbench." 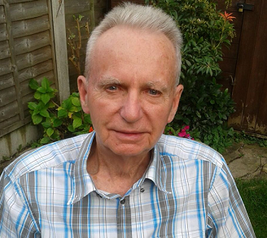 This morning I listened to Part I of their interview with the legendary Alan Wolke W2AEW. It was great. As I was listening to Alan I was soldering together a crystal filter for my new receiver, and using my RIGOL 'scope to check the results. I liked Alan's description of how they made images of 'scope patterns in the days before the advent of Digital Storage Scopes (Polaroid!). I also liked Alan's scorn for those who use the "Auto" switch on the 'scopes. 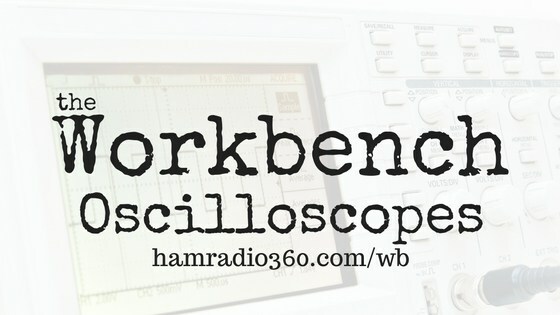 The host's reaction to Alan's description of a $300,000 Tektronix 'scope was also fun: "For that price I want to be able to drive a car into it and put a swing set behind it!" Indeed. I have the JOO - joy of oscillation! The transistor is a 2N3053 with a clip on heat sink, but I don't think that I really need it. Output power +22dBm or 160mW. When I tested it on a Comms test set at work, I found that the harmonics were about 12dB to 15dB down and I stopped looking at the 10th harmonic. Not good. Fitting the 80m low pass filter (salvaged from another project) brought the harmonics more than 50dB down. The coil former is a 31mm diameter and 3D printed by one of the guys at work. The material is PET - the material they make soft drink bottles from. After we printed it, I put it in a microwave oven with a glass of water. 30 seconds and the water got warm and the coil former stayed cool. I haven't had a contact yet, but maybe in the next few weeks. The next project is an 80m CW transmitter based upon the Goodfeller transmitter from QST 1946. It requires a inductor in the pi coupler, 1.5 inch diameter, 32 turns at 20 tip; but where to get one of those these days - wind your own. I got the guy at work to also 3D print me a coil former with a spiral thread around the outside with a 20tpi pitch for the wire to lay in. Some hot glue and the coil is ready. Now that I have finished all 189 episodes and two specials, my days are empty. Please make some more. Congratulations –really liked your build – top drawer! 3D printer access WOW – now if I could only get my 3rd son (Mechanical Engineer) to build me one of those machines. The 3D made coil form is perfect for a VFO and follows the principles set down by Doug DeMaw W1FB (SK) about keeping the coil supported at both ends and away from metal. Bill needs a coil like that to mate with his HRO dial mechanism –and follows something old (dial) something new (coil). 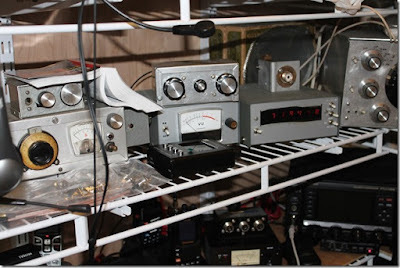 Dave AA7EE has a very cool blog post on his version of the famed ZL2BMI DSB transceiver (seen above). As usual, Dave puts most of us to shame with his excellent non-ugly construction and enviable in-focus macrophotography. I especially liked Dave's discussion of how and why .1 uF caps are used in the coupling and bypass network between the two chips. Of course, the only thing I don't like about this rig is the, well, the chips. Can we persuade Dave to build the earlier discrete component version of this rig? 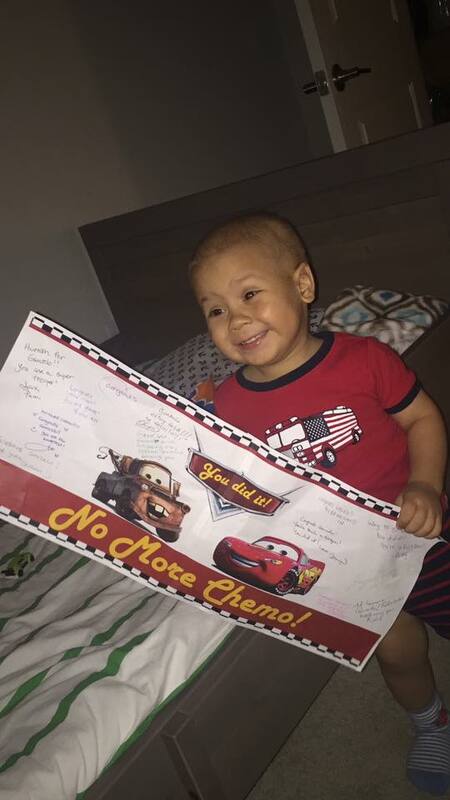 Be sure to read the many comments on Dave's post. Our friend Rogier comments on the beauty of it all. Edgardo LU1AR (the Argentine wizard with the gyrocopter) chimes in. And we see feedback from Eric Sears ZL2BMI himself. FB. I've been kind of busy lately with other things, but I have managed to squeeze in a few minutes most days to work on my latest receiver project. I call it the Armand HROish receiver. Armand WA1UQO sent me the big National HRO-style dial and gear box, and he was there at the Manassas hamfest when I bought the dual variable cap that now serves in the front end pre-selector. I went with a 455 kHz IF. The idea is to have a receiver that tunes from around 6.5 MHz to around 8 MHz so I can do some shortwave listening AND listen to 40 meters. So far the filter consists of three IF cans (one small transistor can and two larger tube-type cans). The small transistor can was given to me by Michael Rainey AA1TJ - thanks Mike. Doug DeMaw suggested this use of IF transformers in his "Design Notebook." At the front end I have a tunable dual tuned circuit filter followed by a 40673 amp. The mixer is an SBL-1. 1st and 2nd IF amps are a 23 db 50 ohm termination insensitive amplifiers. I have a second SBL-1 that will be the product detector, but I haven't built the BFO yet. So today I hooked up two 1N34A diodes in voltage double config and -- with a bit of AF amplification, got the receiver inhaling with a diode detector. I could pick up Radio Canada. Then I heard SSB sigs on 40. With no BFO, I decided to put my sig gen on 455 kHz and just wrap the lead around the IF cans. It worked -- I could listen to SSB and CW sigs. Very satisfying. -- BFO and product detector. -- Work on AF amp. -- Get my CM-455 crystal mechanical amp in there with some relays around it so I can switch from narrow to broad via the front panel. Lots of soul in this receiver: All parts either 1) came out of the junkbox, 2) were gifts from friends, or 3) were recent hamfest purchases. The HRO dial from Armand and the IF can from AA1TJ. 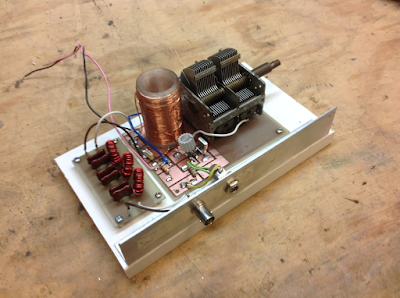 The 455 kHz filter idea came from Doug DeMaw, the VFO circuit from SSDRA. The VFO base is from Whole Foods and the whole thing is built on a kitchen cutting board. It includes a 40673 and germanium diodes. The VFO amps are in Altoid tins. 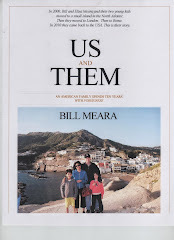 It will, when finished, go into a big metal box given to me by Tim KI6BGE and shipped east by Pete Juliano. And when I was working on the 1st mixer, I accidentally pricked my finger and a drop of N2CQR blood went onto the breadboard. Of course, I left it there. SOUL! The Radio Gods are apparently pleased: In the first hour or so of listening, I was rewarded for my efforts when I managed to hear Tim WA1HLR on 40 AM describe his troubleshooting of an old piece of gear. TRGHS.